Update later the same day: Sold for $19,800. A bargain? Spider 750D 1495*02031. This car is on eBay right now out of Denver Colorado. Racing set up is as purposeful as they come, with lots of refinements that probably make it highly competitive. These cars tend to be a bargain to buy compared to the expense of the development represented in the final product. I’d have to tone it back a bit so it could be used on the street too. Between the sun and the saturation of the red, the lines of the car are almost lost. Widened steels look very tough. 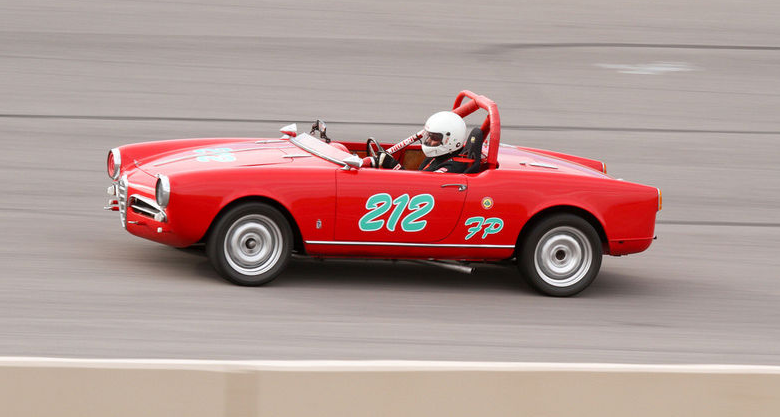 I like the cut down windshield -reminds me of Conrad’s Spider Veloce. Very very cool picture. The aggregate rushing by, the blurred wheels, the poise of the car -one can only guess at the exhaust note. Bodywork looks to be in top condition. Grills, tow-hooks and lights all look just right. 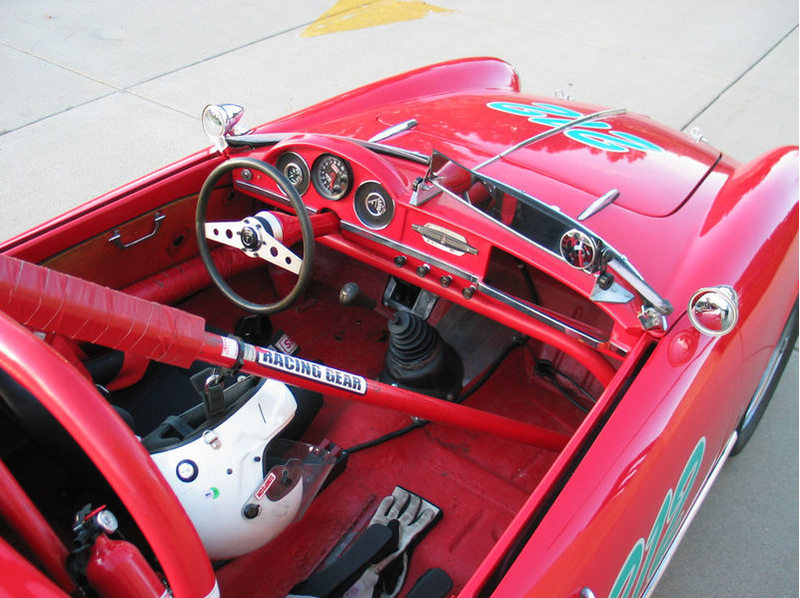 Man that roll cage is unsightly -but I appreciate it’s presence and what it’s all about. Unusual tail lights for a Spider -I usually think of these as being for the earliest Sprints. You can see the fuel cell sticking down. Lot’s of mirror here, must be used to being the leader of the pack. Red red red. Gauges are no doubt much more trustworthy than originals would be. This steering wheel isn’t too bad as far as aftermarket items goes. Clean and tidy as you’d expect. 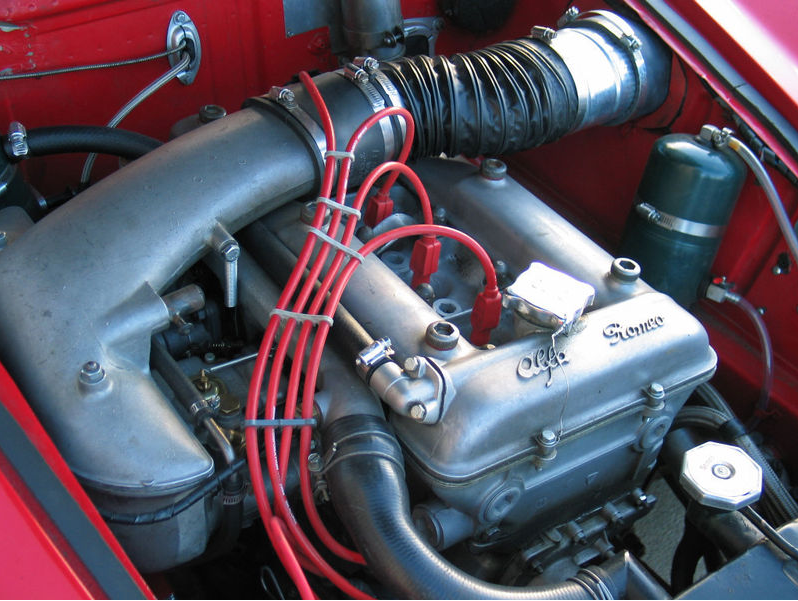 Engine is out of a GT Junior -one of the most robust 1300’s you can get for a Giulietta. They made an over-square 1300 in the early 80’s that went in a rear transaxle variant of the Alfetta confusingly called the ‘Giulietta’, the spec of which reads on paper like a GTA 1300, but those are VERY rare in the US. Buyer has the option to buy the original 1300 from the seller -a good idea if the prices of early cars continues to climb. There you have it -loads of bargain good times on the track for what seems to me to be not a lot of money. Go for it! 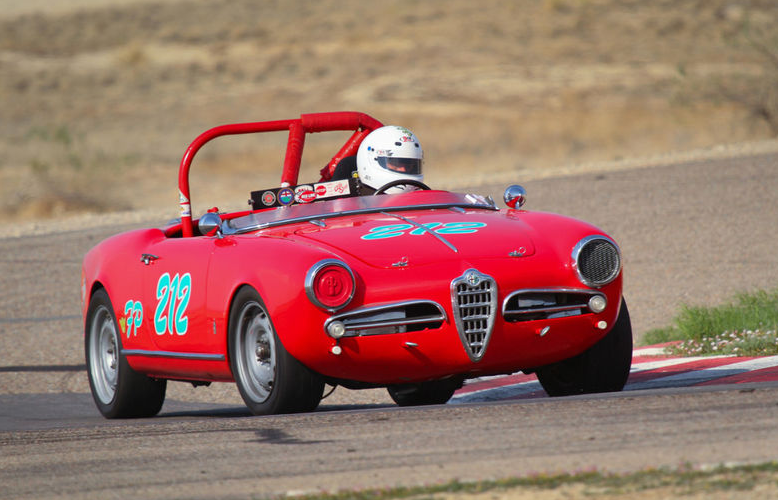 This entry was posted in 2011 markets, 750 D, Giulietta & Giulia Market, Race cars, Spider Normale's and tagged Alfa Romeo, Classic cars, Race cars, spider by Hamilton. Bookmark the permalink. I raced with the RMVR a couple of races, at Steamboat Springs ( ~ 20 years ago). All cars, in all classes were beautifuly prepared and presented. 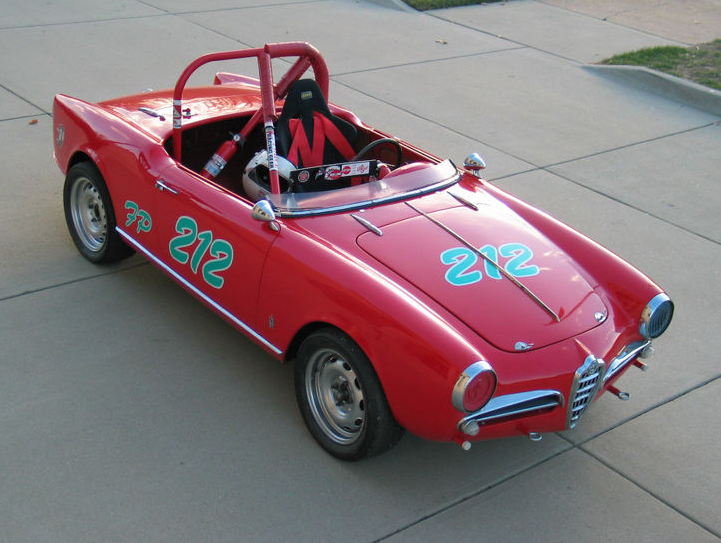 This has to be the Alfa track car deal of the year. 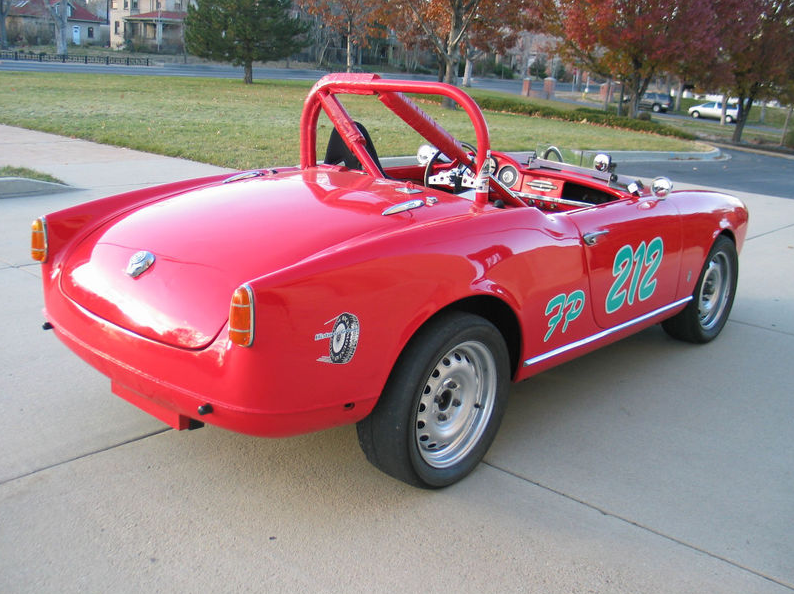 Local shops that build race worthy Giulietta engines start at about $8000 for a rebuild. 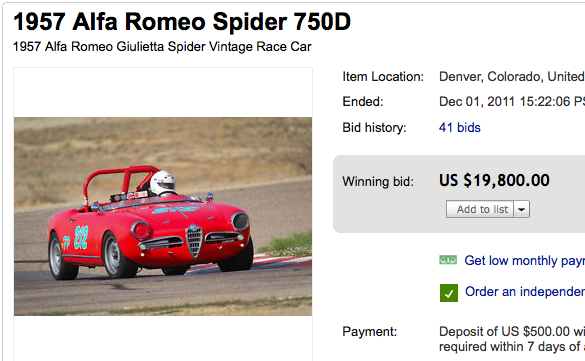 Early 750D Spiders in horrible shape are $6000. A cheap paint job is $3000. There is $30,000+ worth of value in this car. I think you owe us a picture of the fleet.